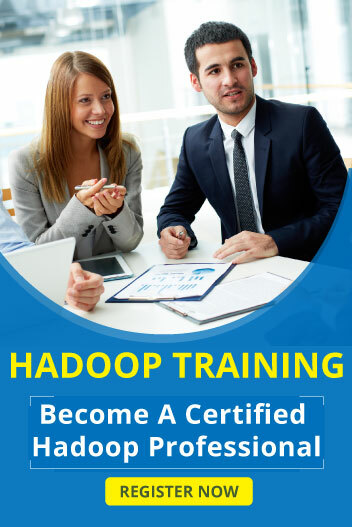 HDFS means Hadoop Distributed File System and it manages big data sets with high volume. HDFS stores the data at distributed manner and it is the primary storage system. HDFS allows read and write the files but cannot updated the files in HDFS. When we move file in HDFS that file are splited into small files. HDFS are implemented by Master Slave architecture. It reduced disk space also. Main role of secondary namenode is copy and merge the namespace. Secondary namenode requires huge amount of memory to merge the files. If namenode failure namespace images are stored in secondary namenode and it can be restart the namenode. DataNode also known as slaves. If DataNode failure it does not affect any data which stored in DataNode. It Configured lot of disk space because DataNode stores actually data. DataNode Performs read and write operations as per client request. Work of Datanode are based on NameNode instructions only. Block is location of where data is stored. In block files are divided into one or more segments and it stored in separate nodes. If HDFS read and write small amount of data is called Block. Fault Detection – HDFS having more number of harware so HDFS have mechanism for fault detection.